"so that all may see"
Globally, more than 245 million suffer from vision impairment and over 39 million people are blind. If this is added to the number of people with correctable vision loss due to refractive error, the number jumps up further. 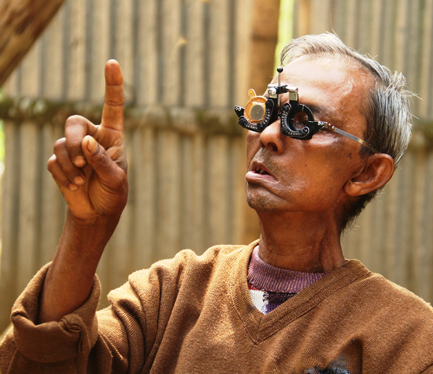 Nearly 75% of vision impairment is preventable, treatable or manageable with cost effective interventions. India is home to more than 39 million blind persons, and if there is no change in the current trend of blindness, their number would increase to 32 million in 2020. Please contact us if you wish to make a larger contribution or if you are interested in offering long term support for eye care services other than those mentioned here.